If you want more than doing Brain Gym exercises, then do this 4-day course, where you learn to apply these movements and others, to let go of ineffective and/or sabotaging behaviour and replace it with a new and effective ones. Make a Life uses these techniques and more in the Personal Coaching consultations. The three dimension of intelligence. The five Steps Balance. The powerful process, which is at the heart of the Brain Gym® system, links a goal of one's own choosing to the abilities needed to achieve it. It includes a simple method for determining which Brain Gym activities will best support the goal, plus a reinforcement technique called "anchoring' that quickly internalizes the new learning. 26 Target Activities: When performed in the context of the balance process, these simple physical movements bring about rapid and automatic improvements in skills such as memory, math, reading, writing, concentration, and communication, and also produce noticeable gains in creativity, energy levels, and athletic performance. 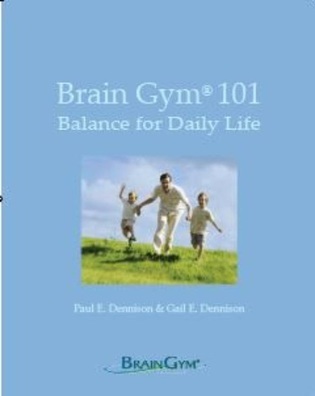 Brain Gym ® is essential for everybody who is involved with learning and teaching. Just remember learning doesn't only take place in schools, it is part of our daily lives too.